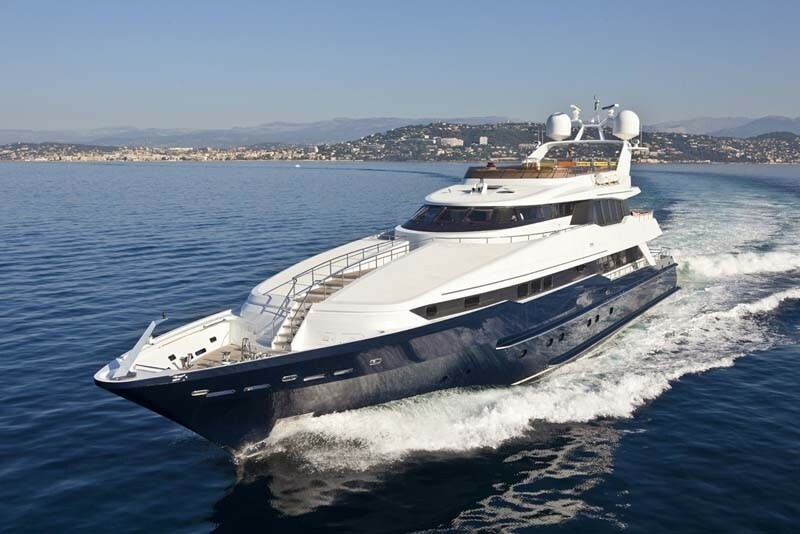 Luxury Yacht Sister Act (ex Sedation, New Century) is a unique Diaship designed and Heesen built luxury motor yacht which is based in the Mediterranean, Caribbean and Bahamas. 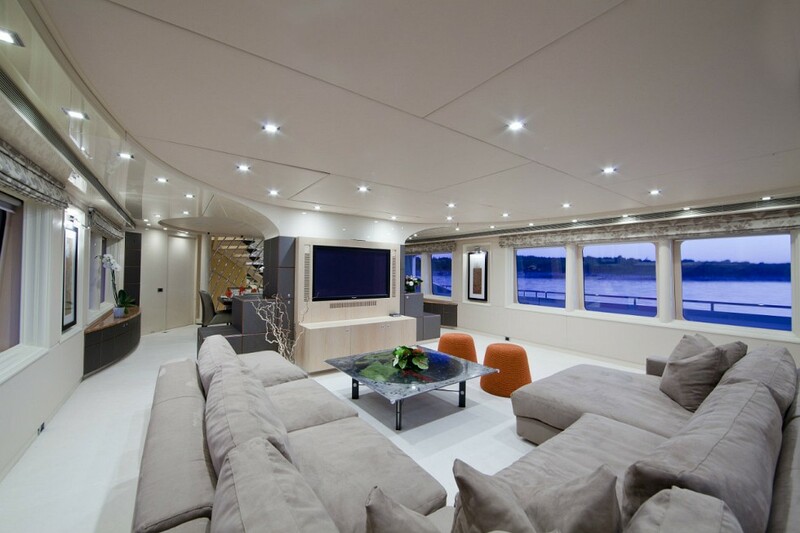 Her unique interior with a blend of blond maple, myrtle-root, and details in copper and stainless has a gentle approach although being modern and classy all at the same time. 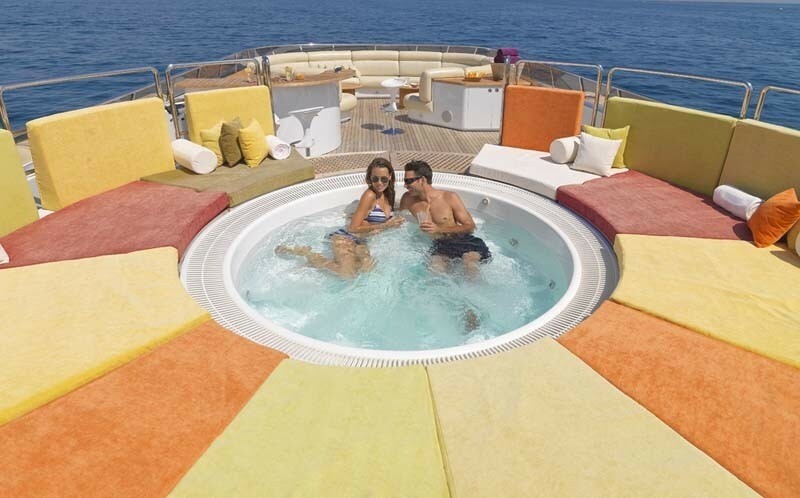 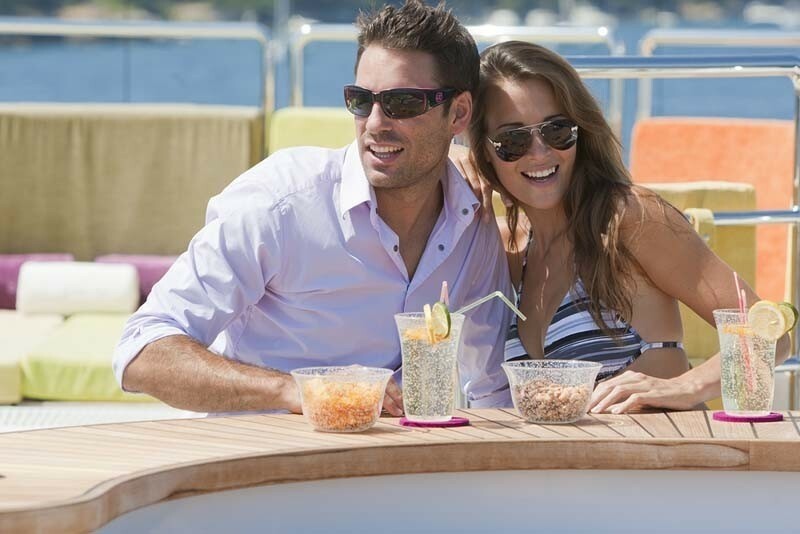 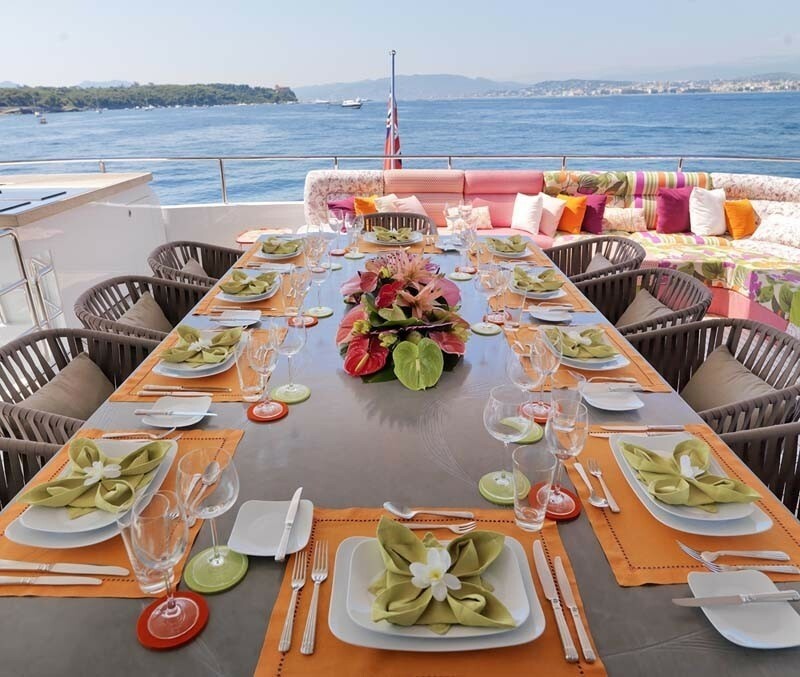 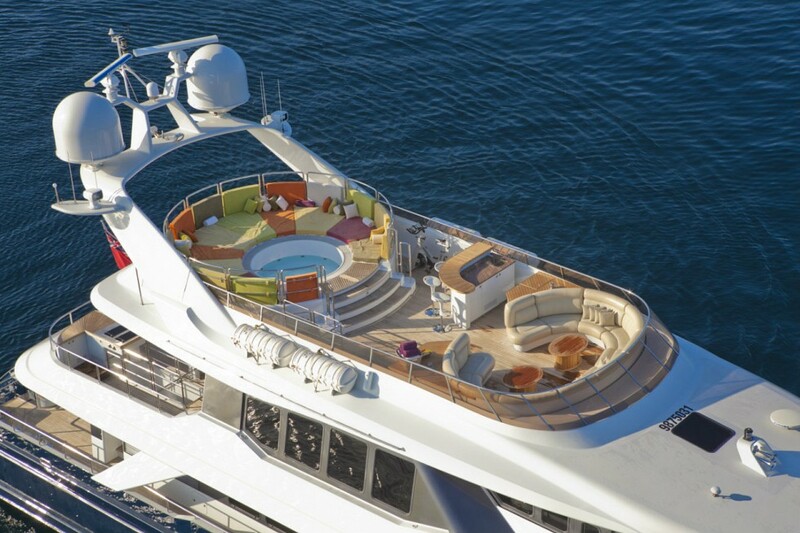 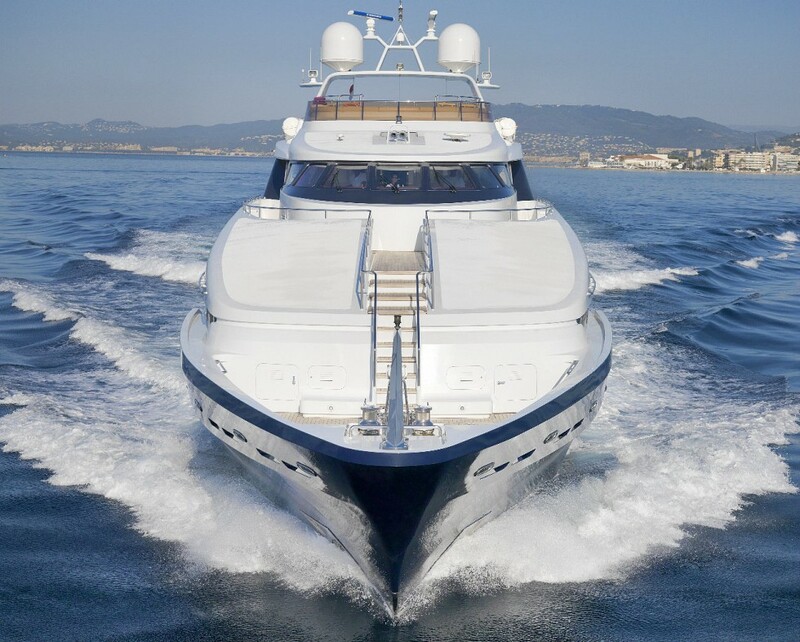 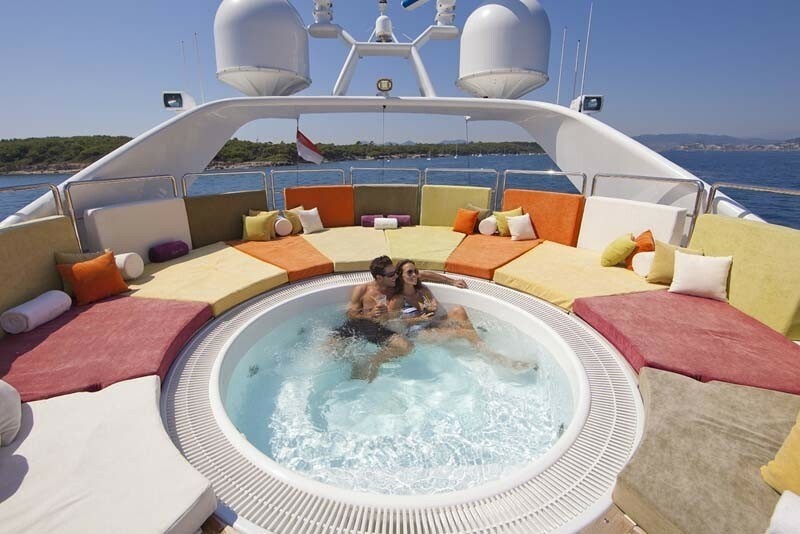 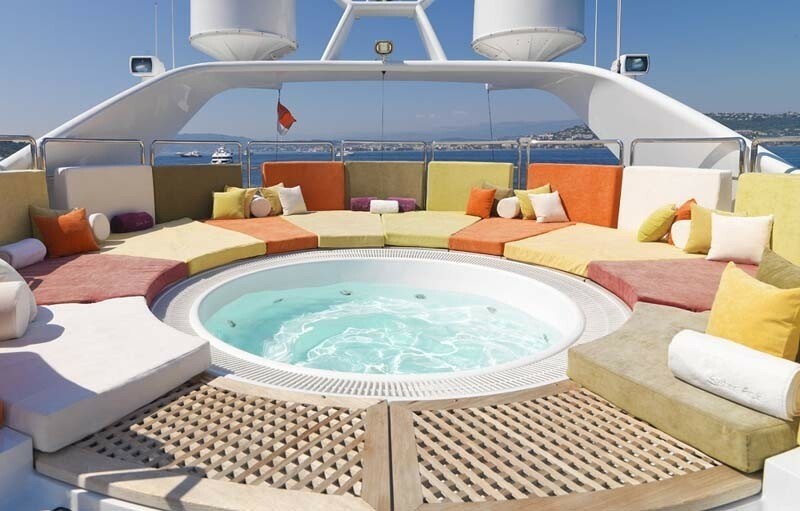 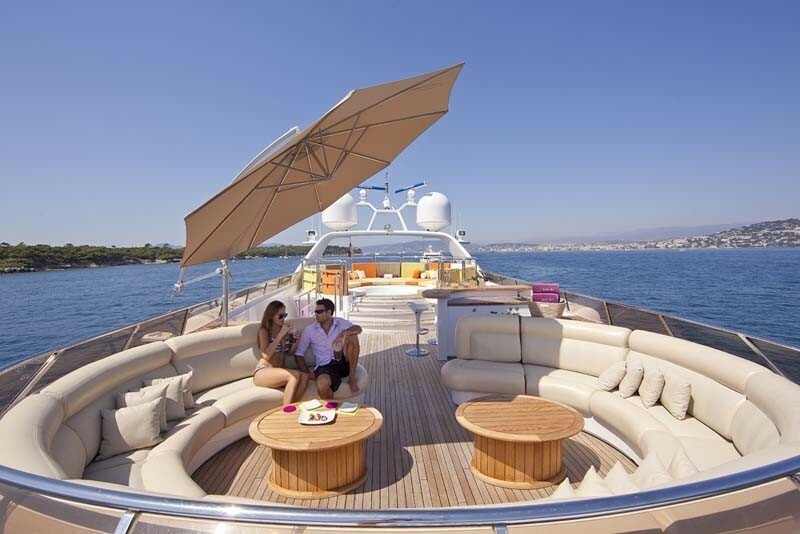 A large Spa Pool on top/sundeck with bar and dining facilities together with assorted toys is the perfect yacht for entertaining and outdoor activities. 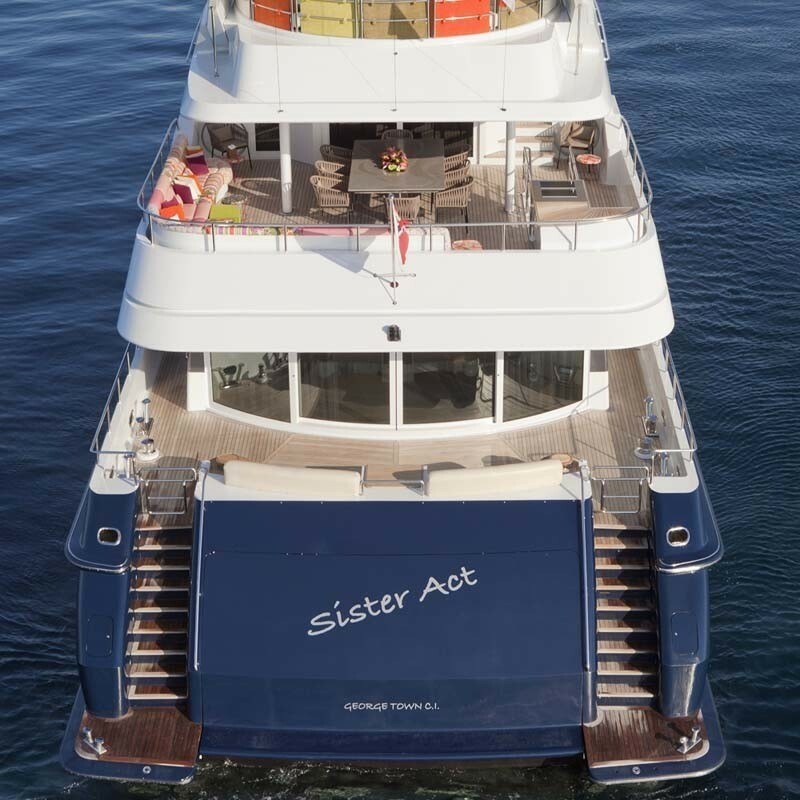 Motor Yacht Sister Act is a ‘fun-machine’ which is professionally run by her crew who will fulfill the smallest whim. 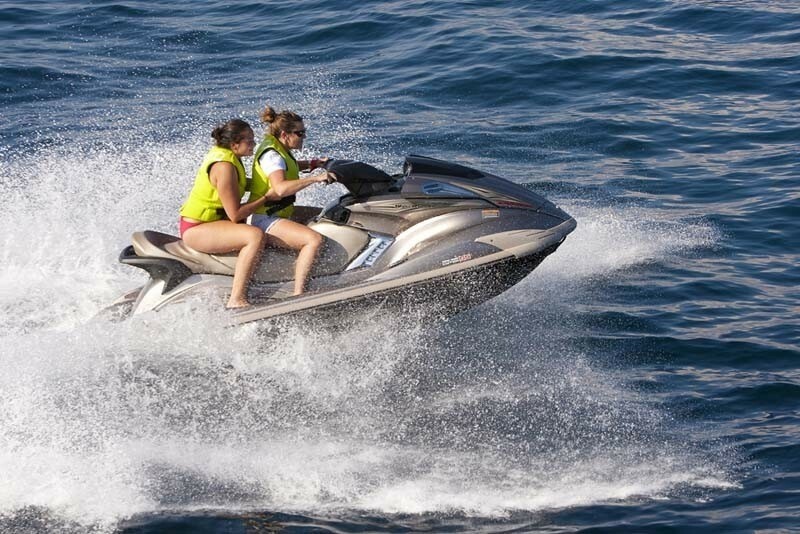 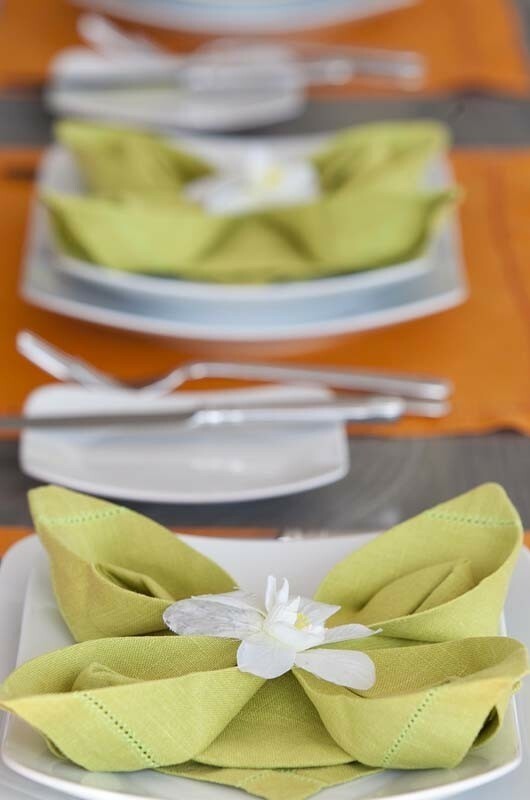 The crew is trained to the highest professional level and from varied backgrounds and fields; they take great pleasure in sservice – constantly at the guests beck and call. 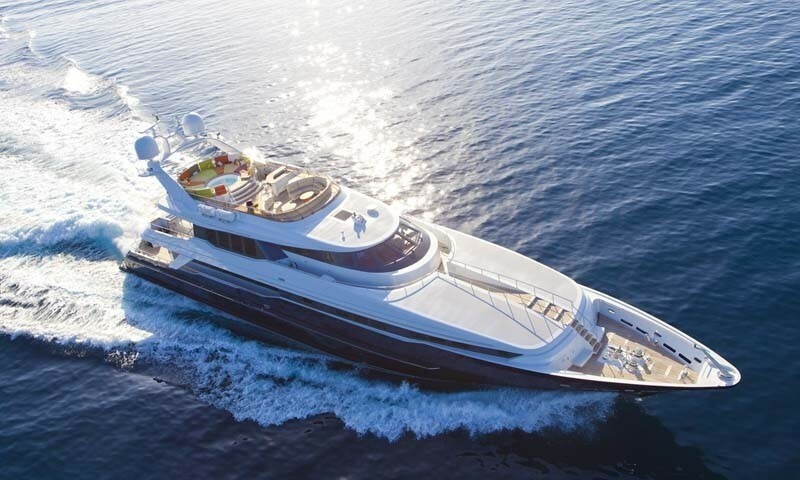 Motor yacht Sister Act is a state-of-the-art luxury super yacht with a cruising speed of between 13.5 knots and up to an incredible 21 knots! 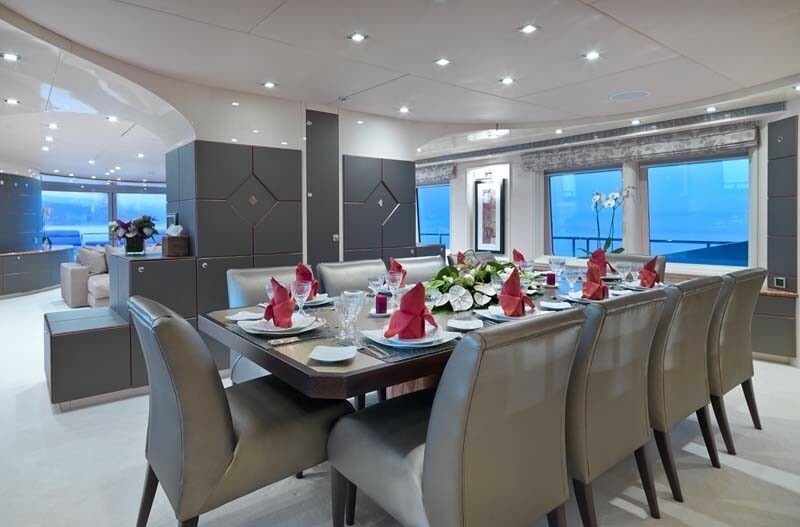 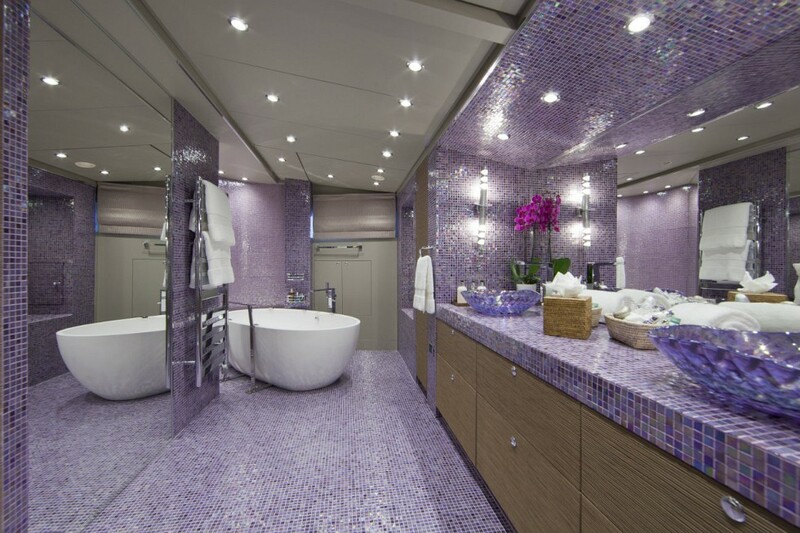 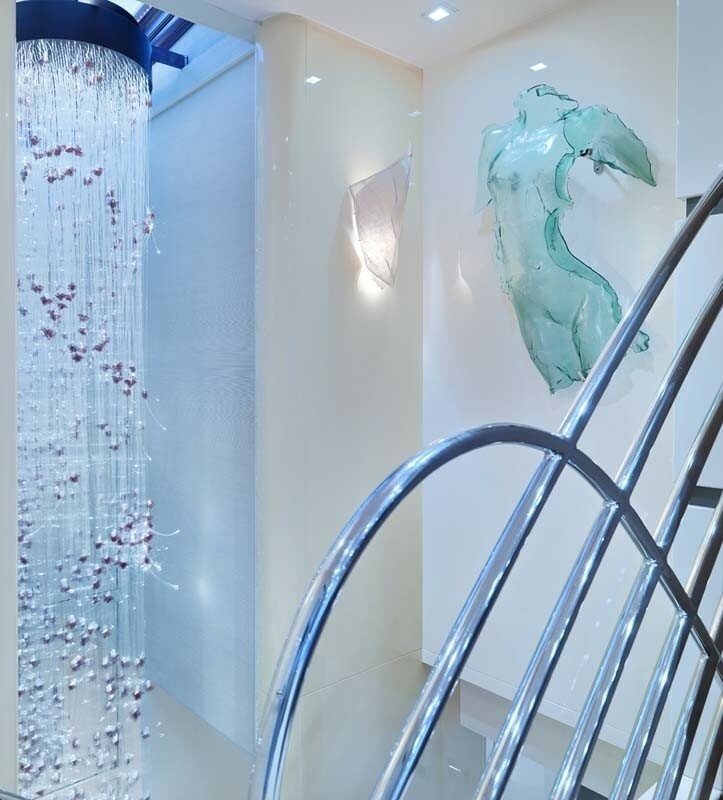 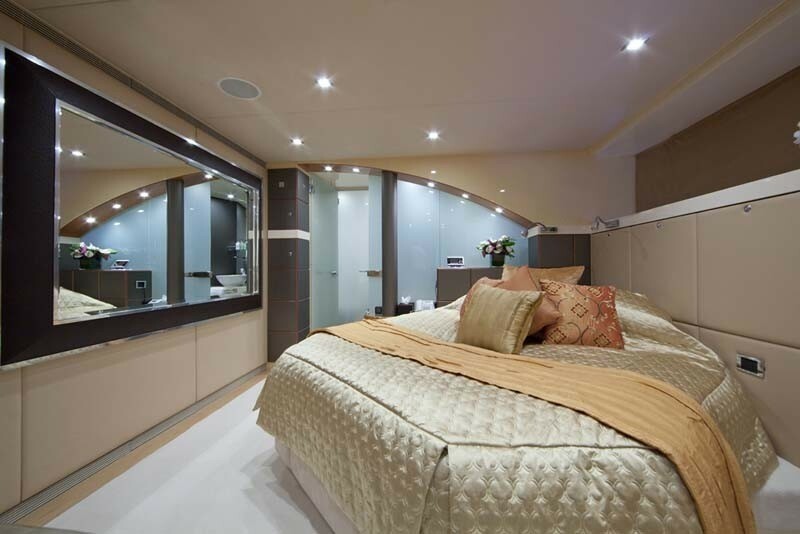 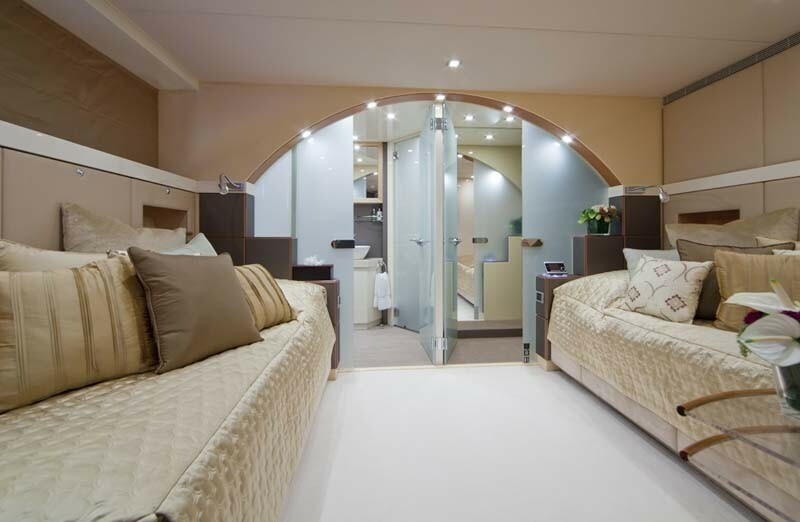 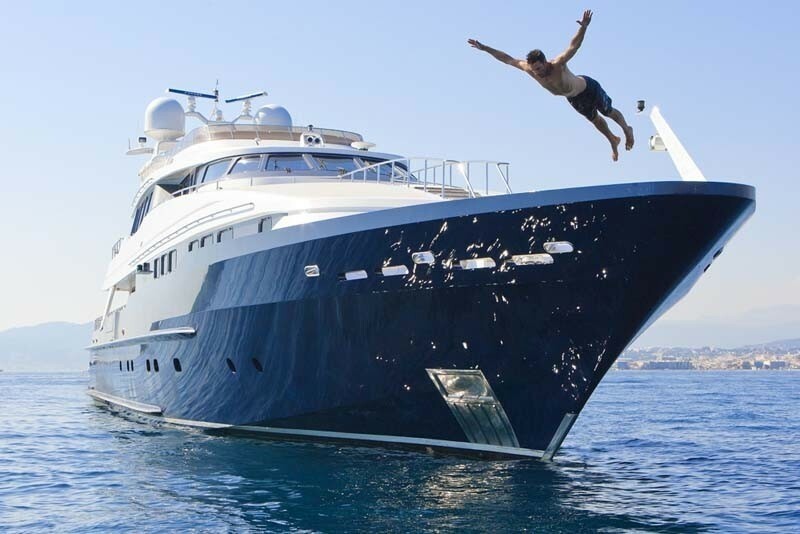 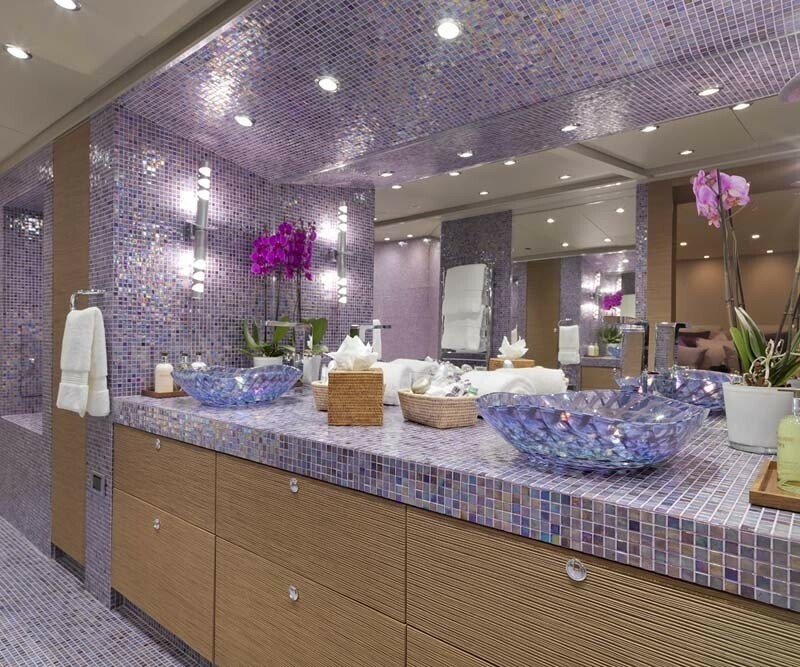 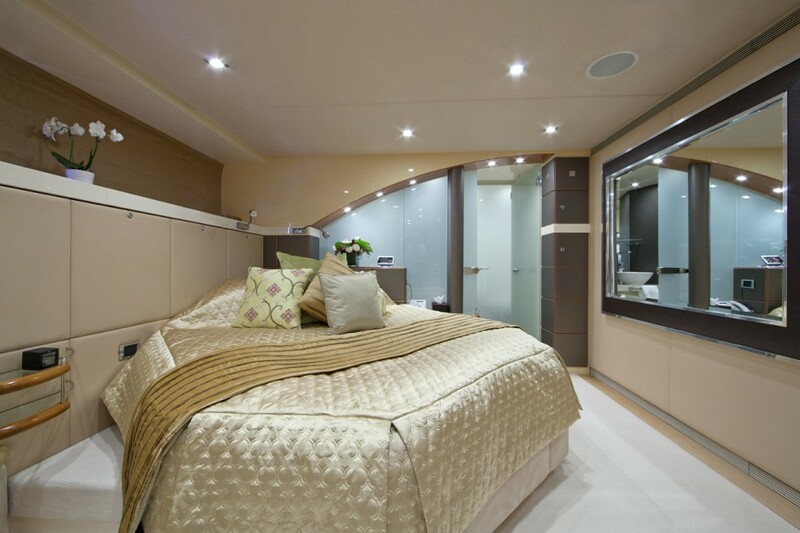 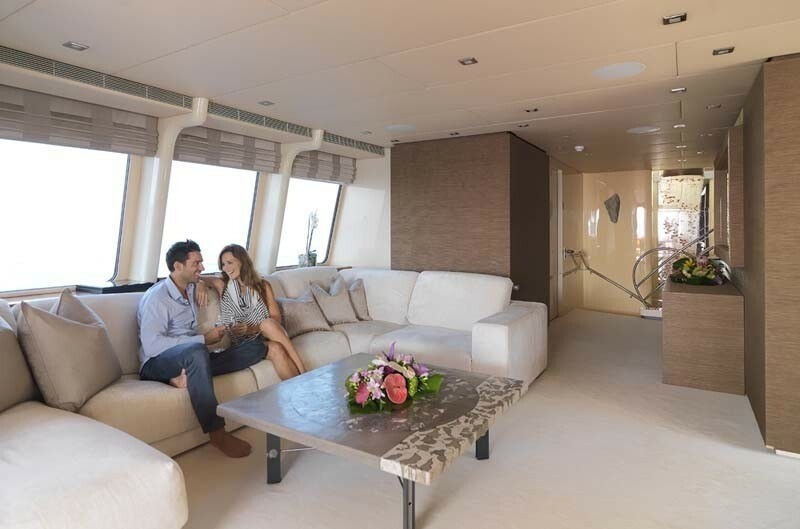 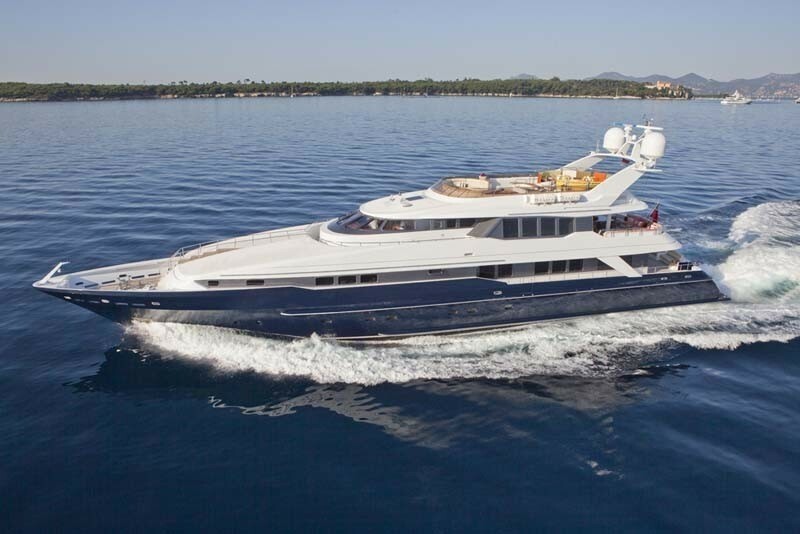 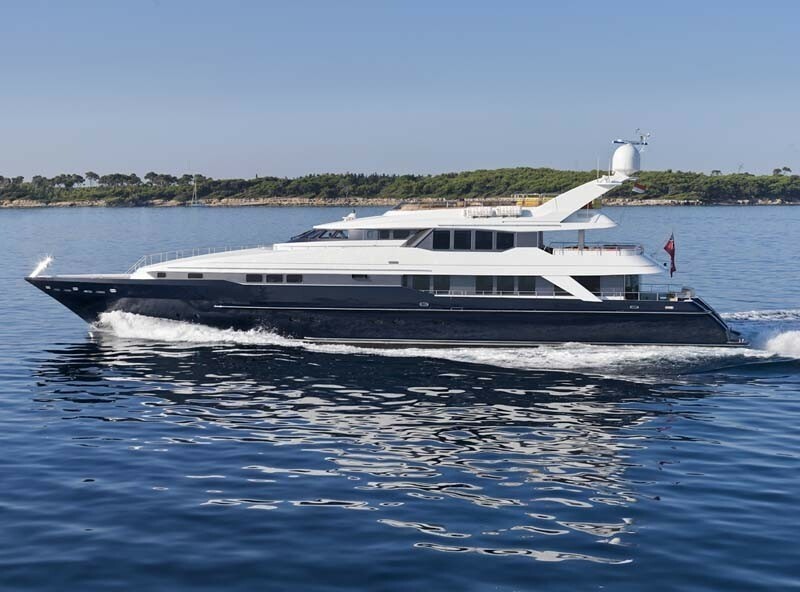 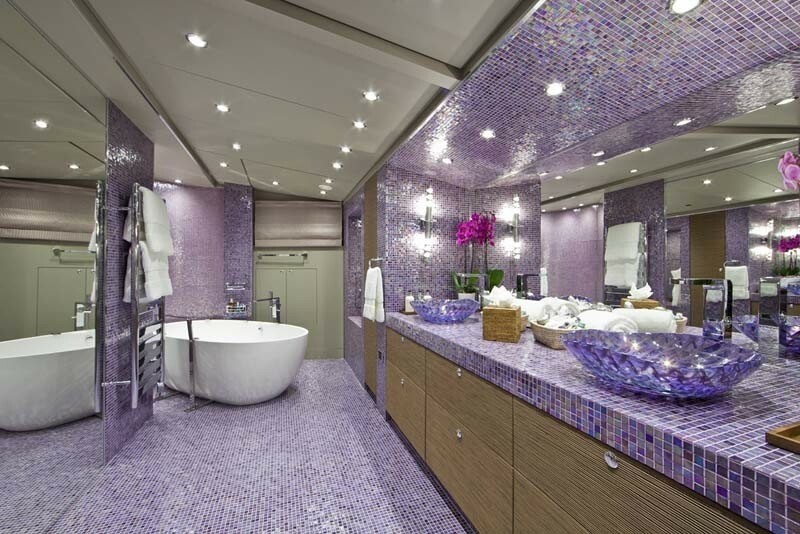 Luxury yacht Sister Act (ex Sedation, New Century) accommodates ten guests in five en-suite cabins - the master stateroom offering two separate bath rooms! 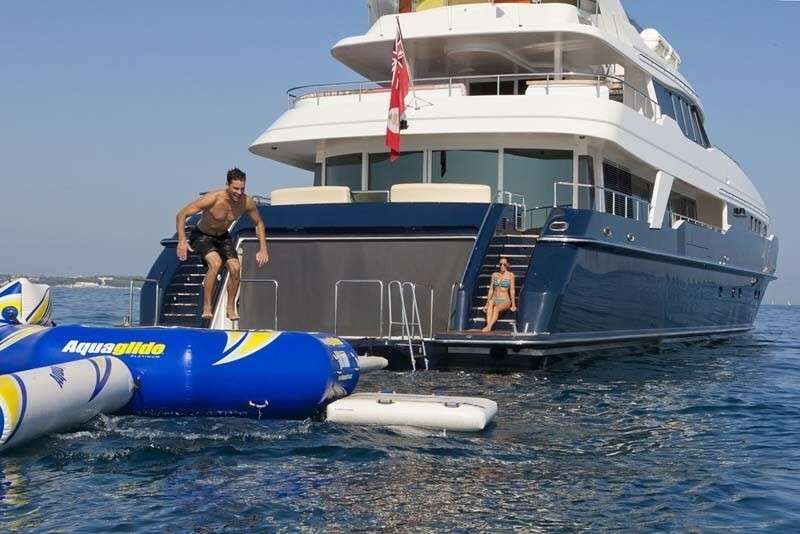 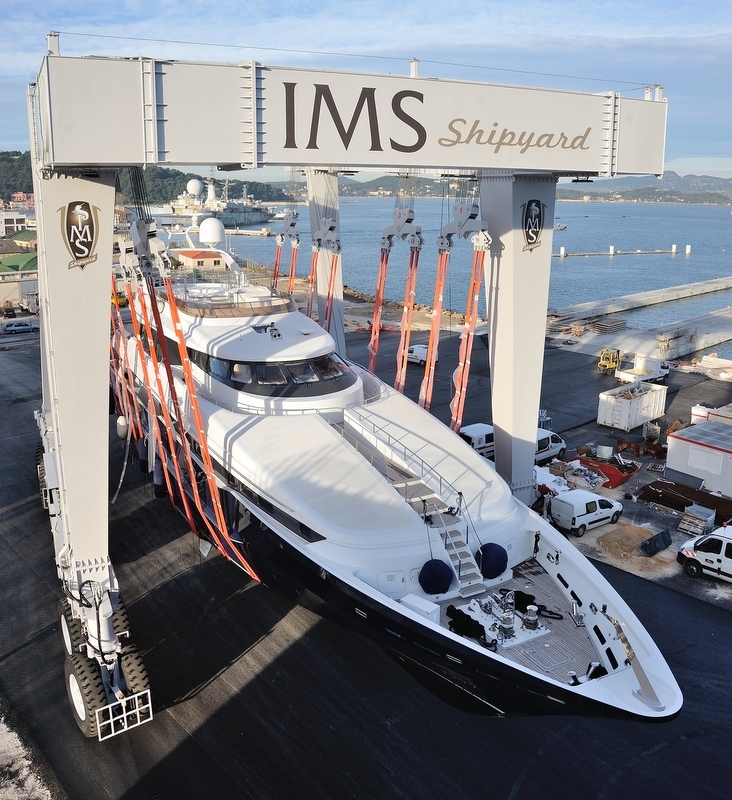 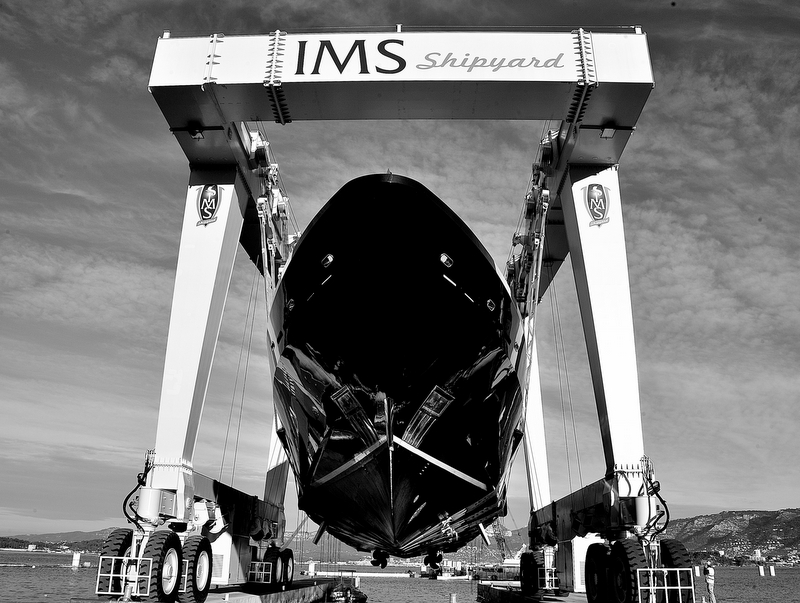 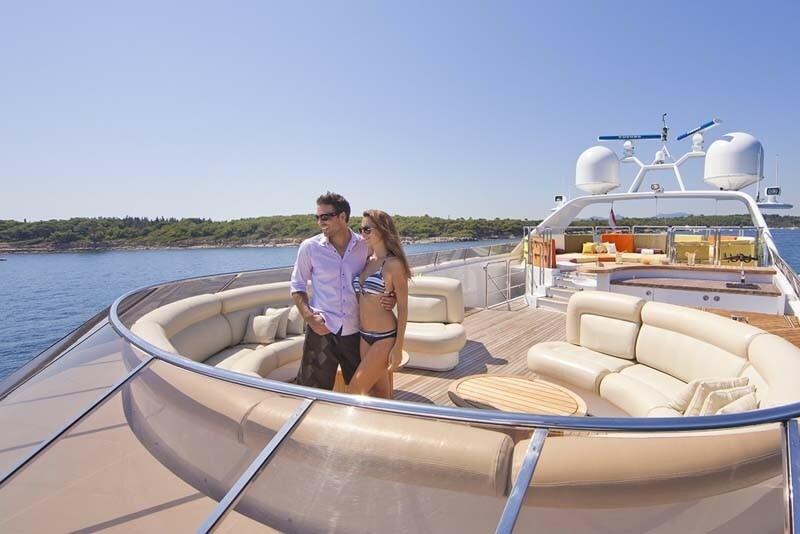 She also offers a wide range of toys and in-water towing accessories, including a golf driving range on the aft-deck! 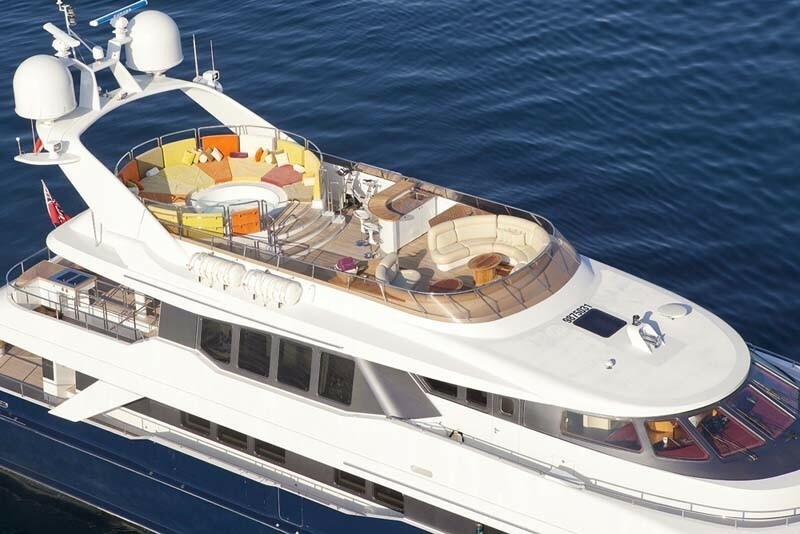 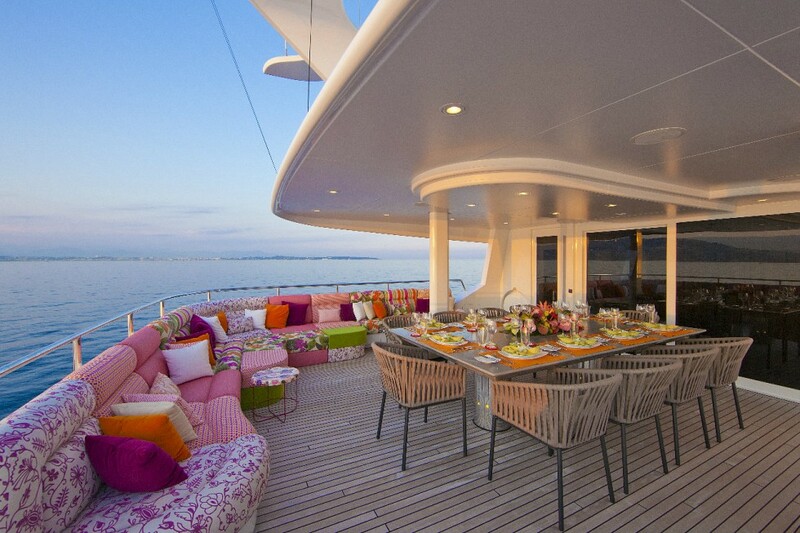 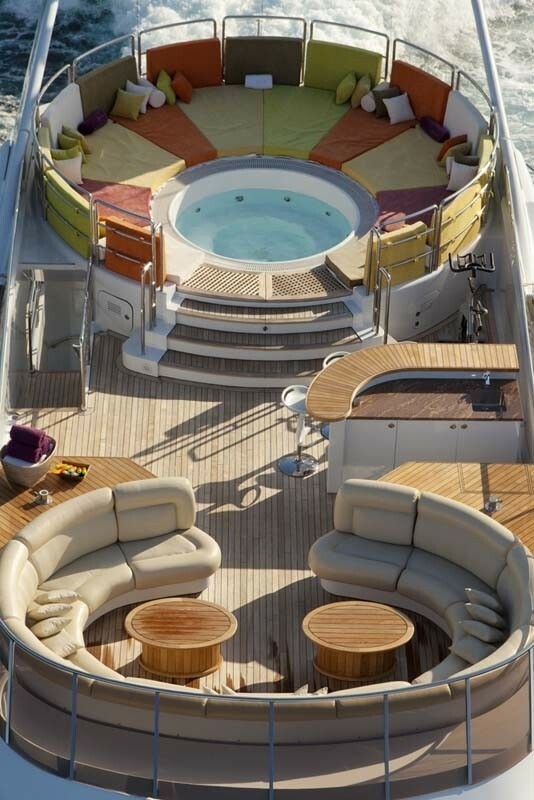 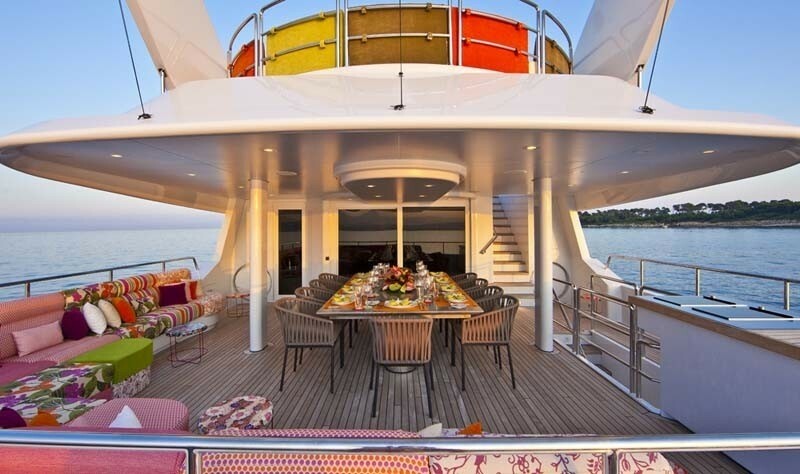 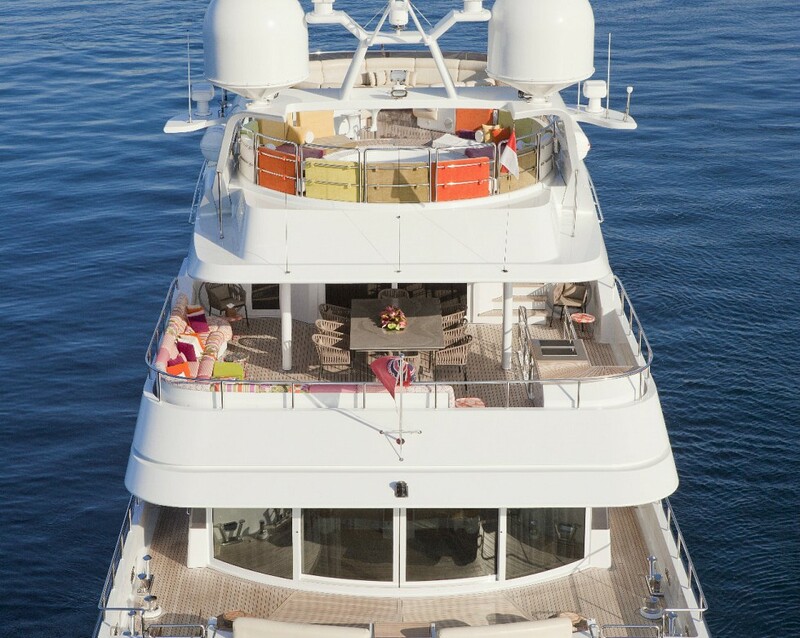 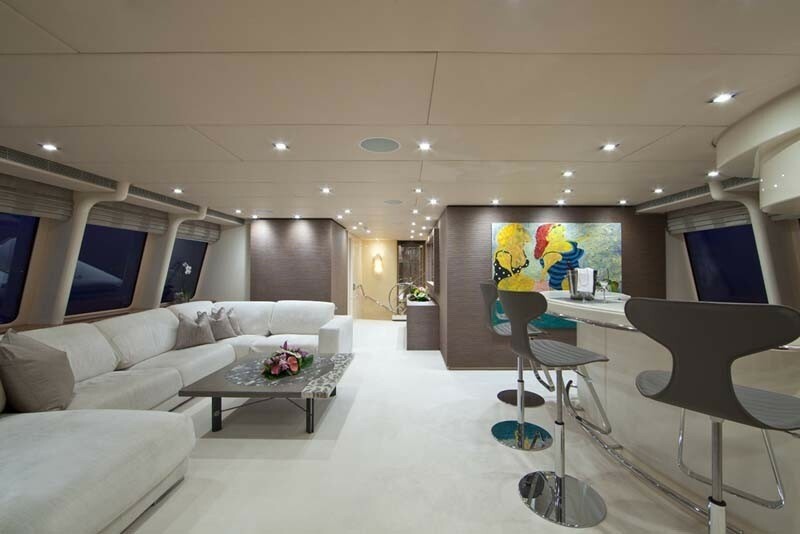 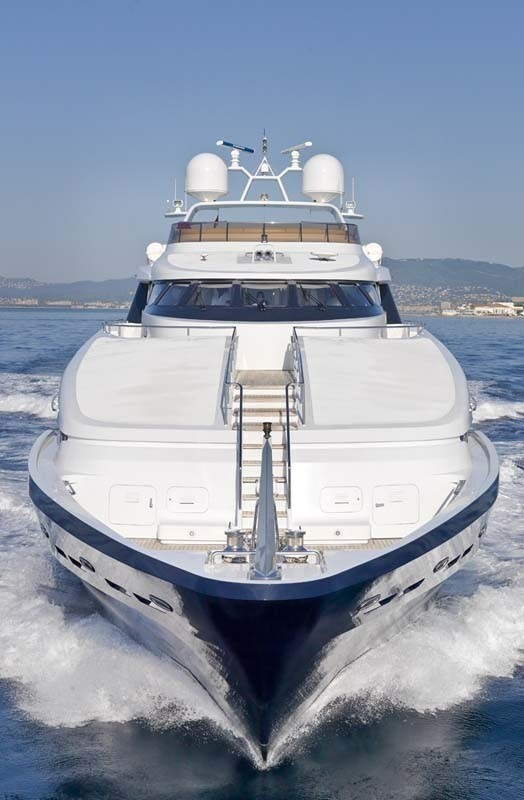 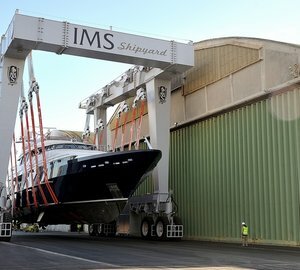 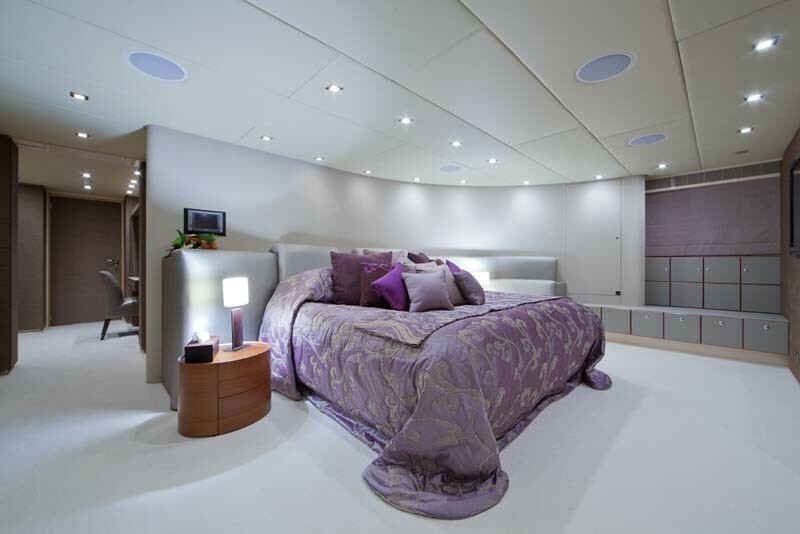 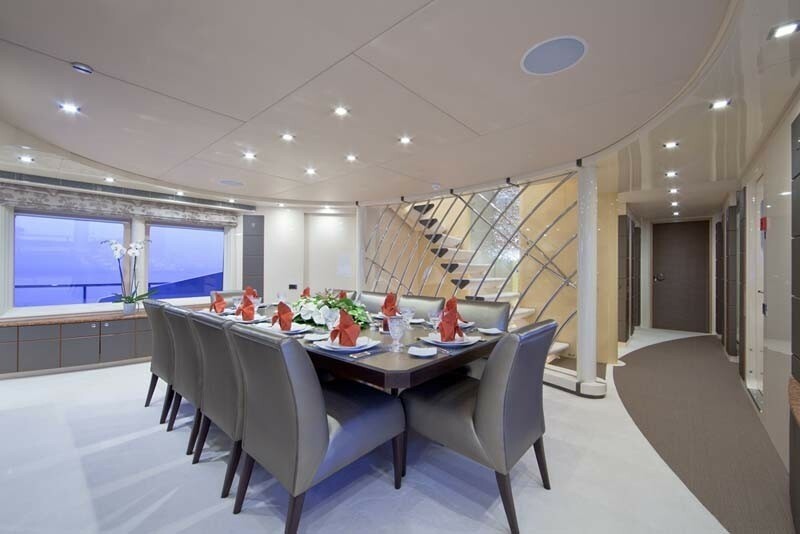 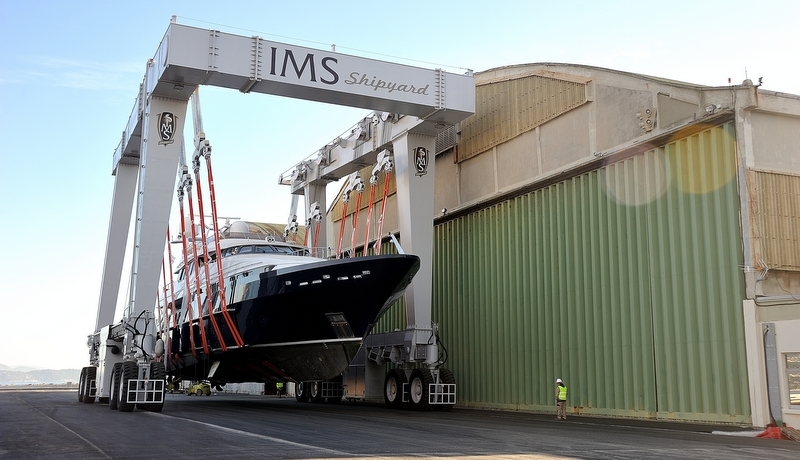 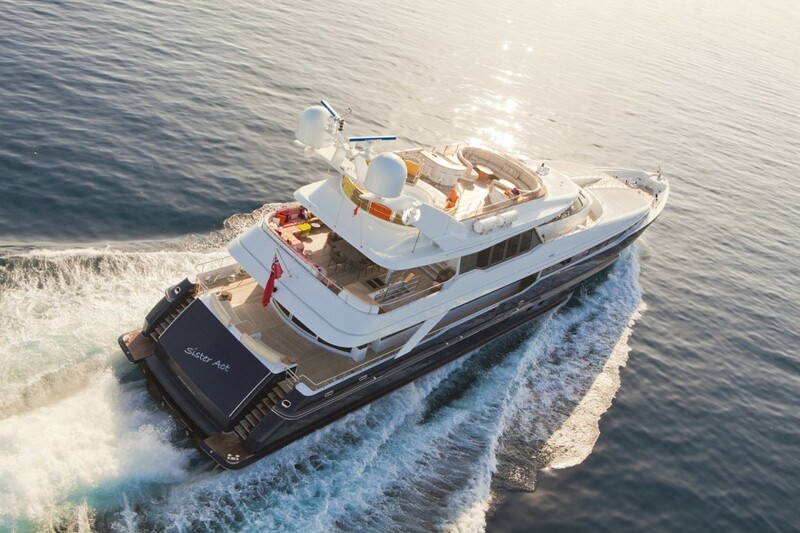 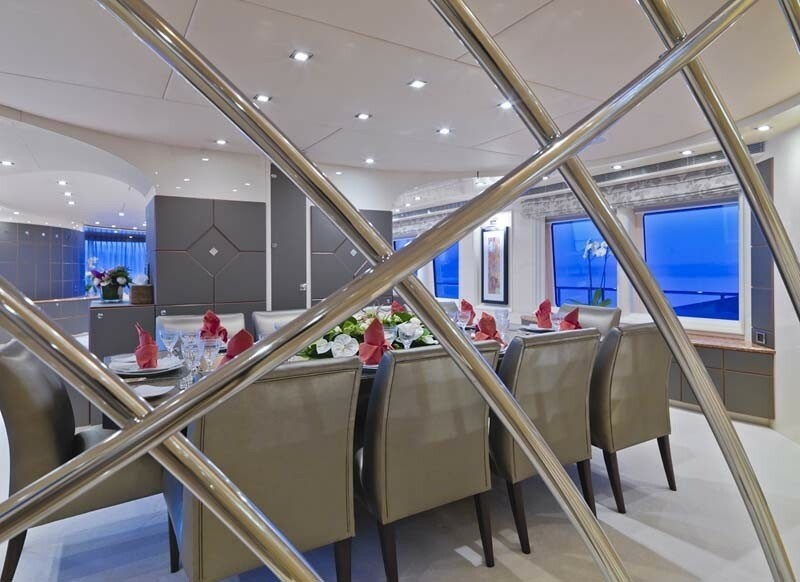 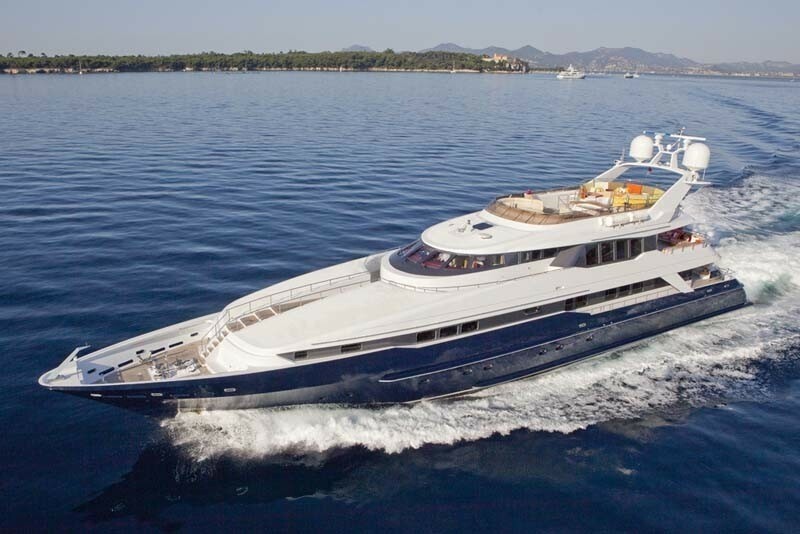 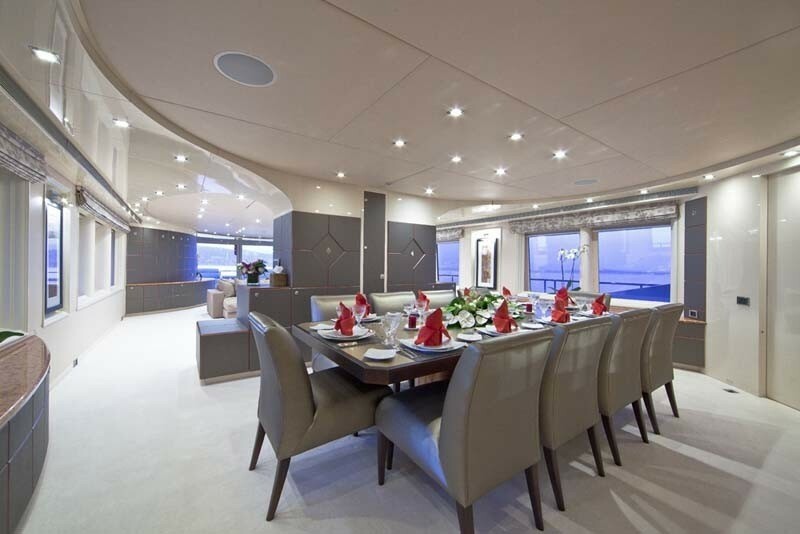 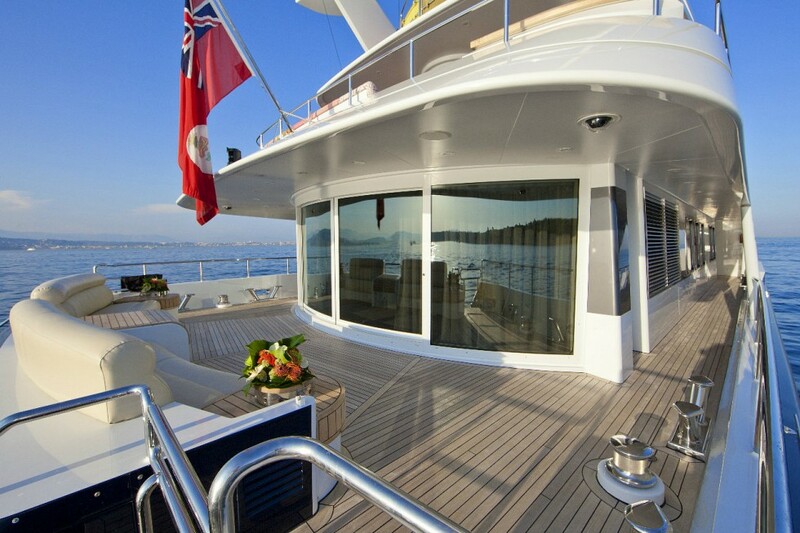 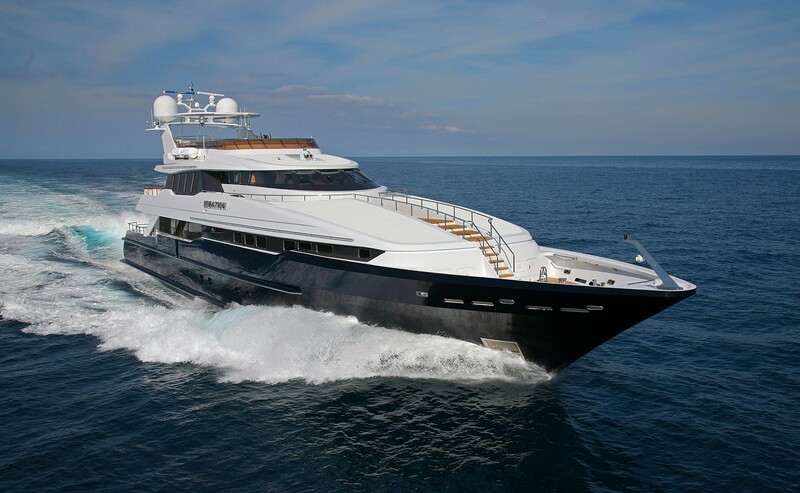 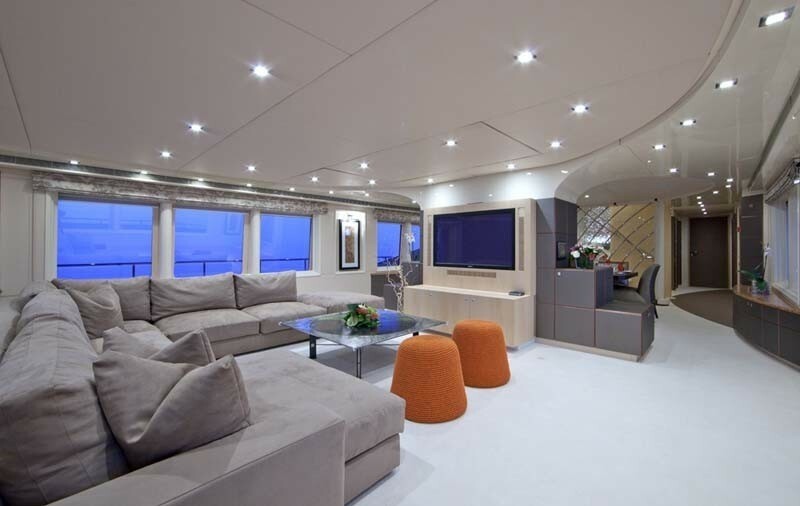 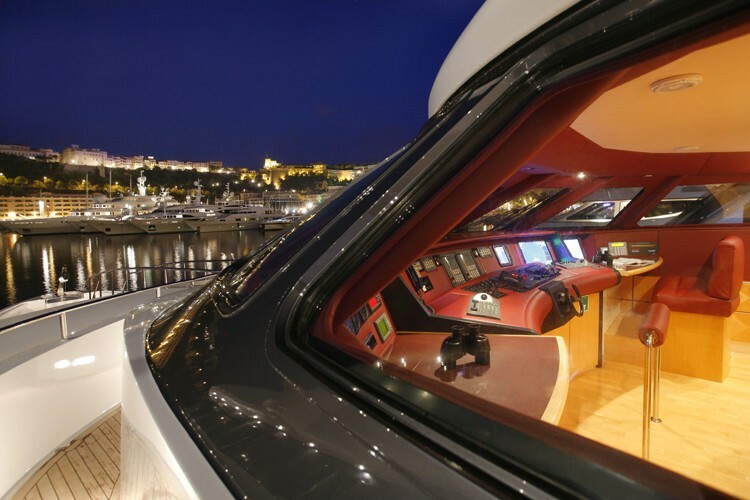 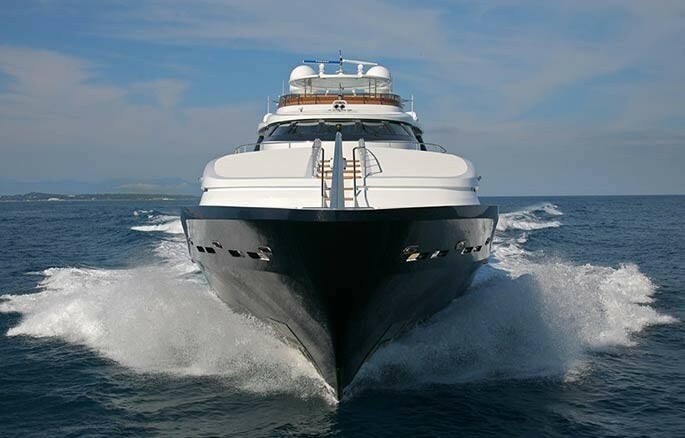 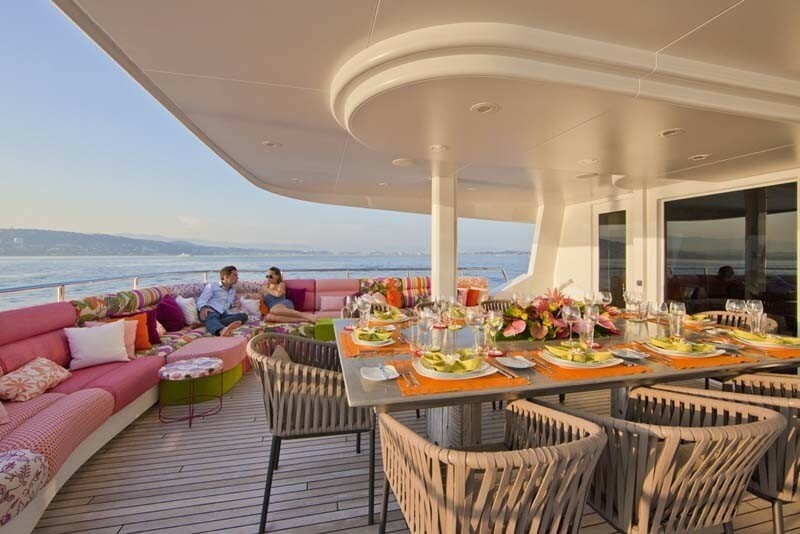 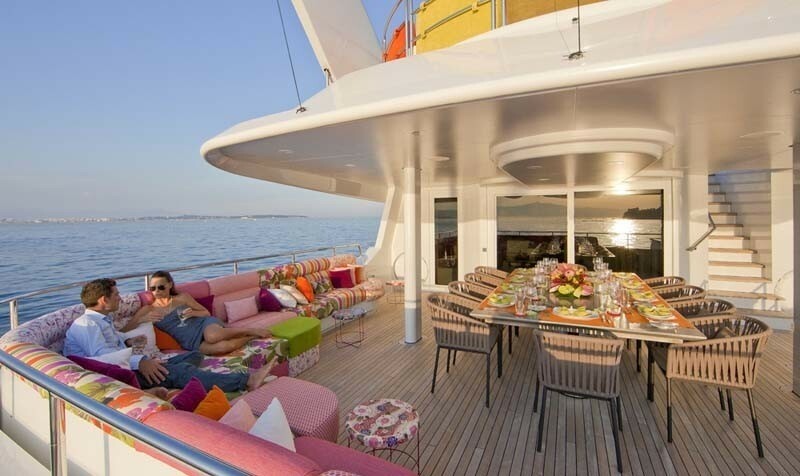 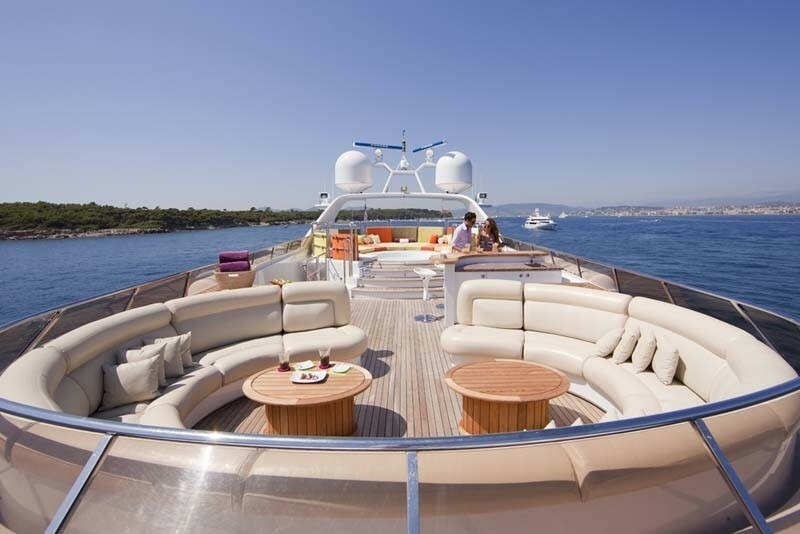 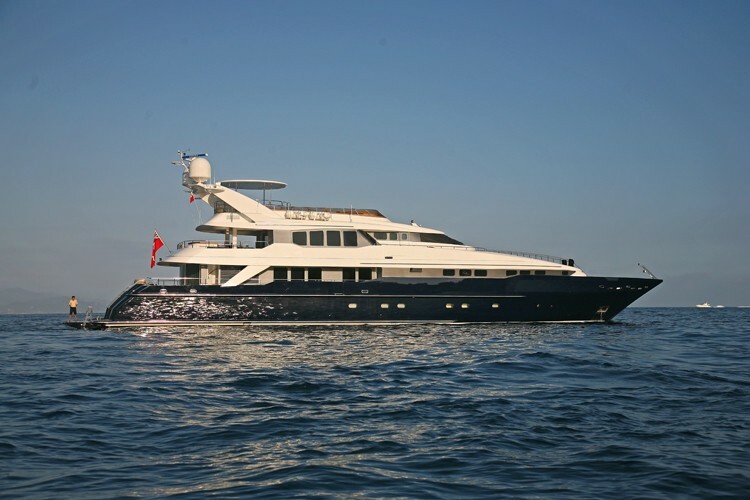 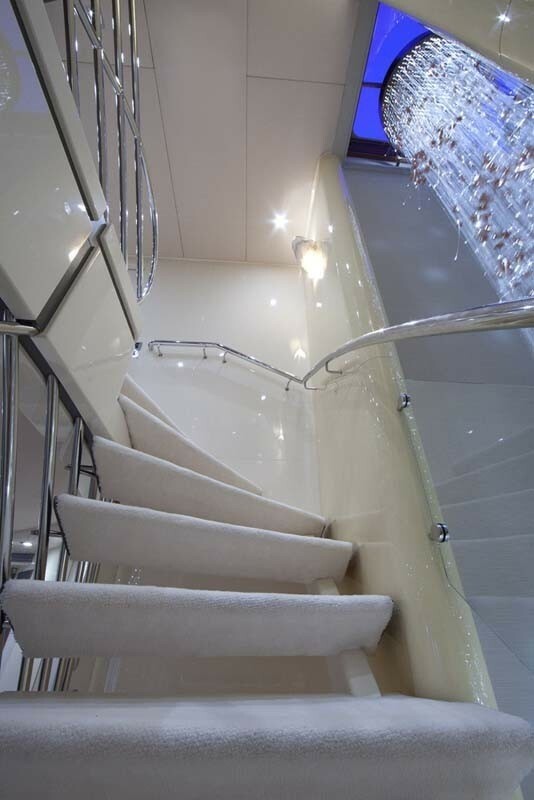 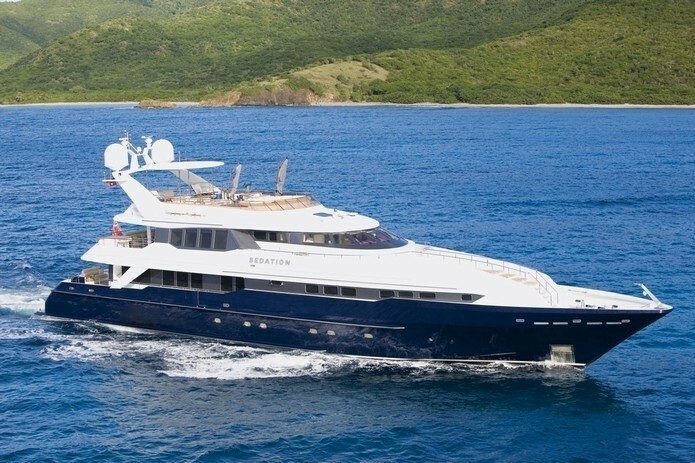 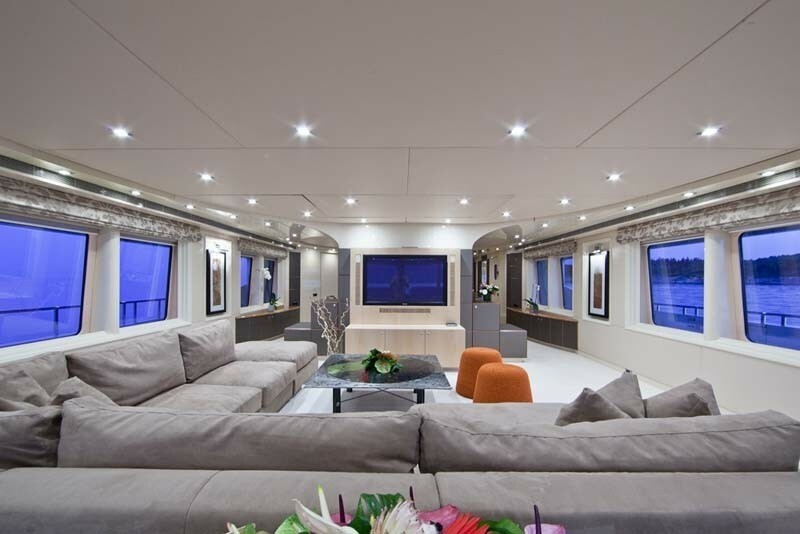 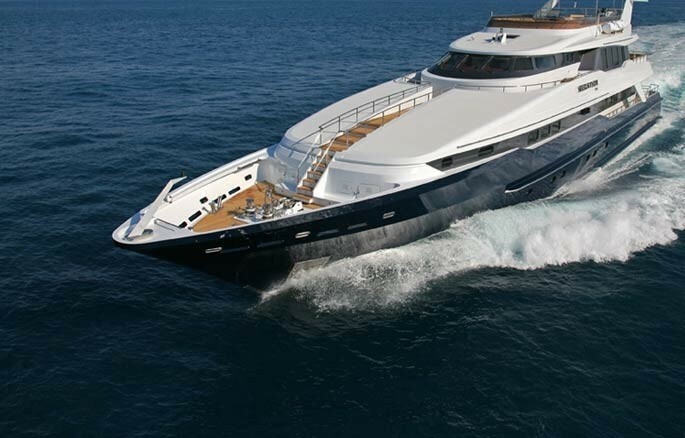 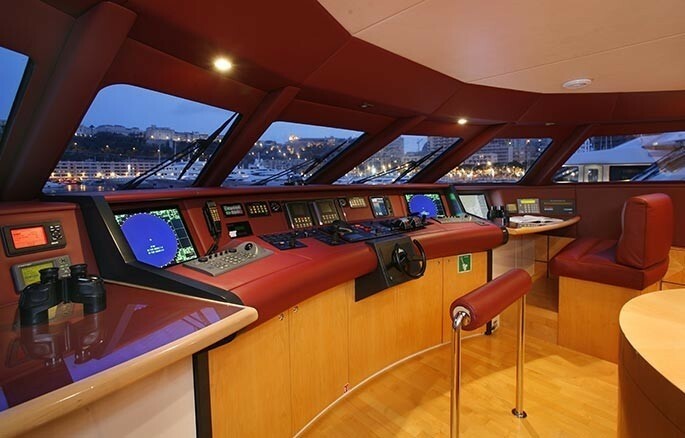 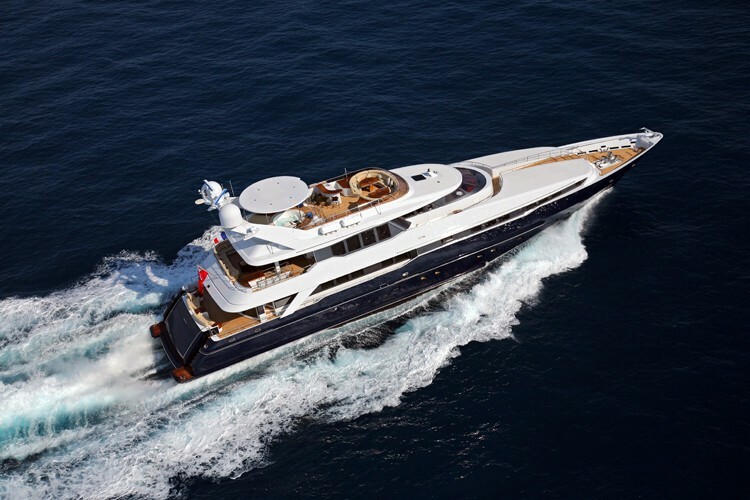 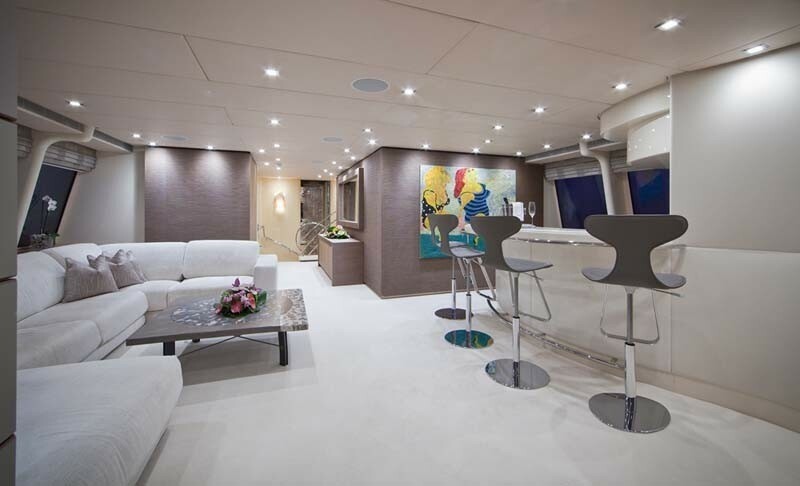 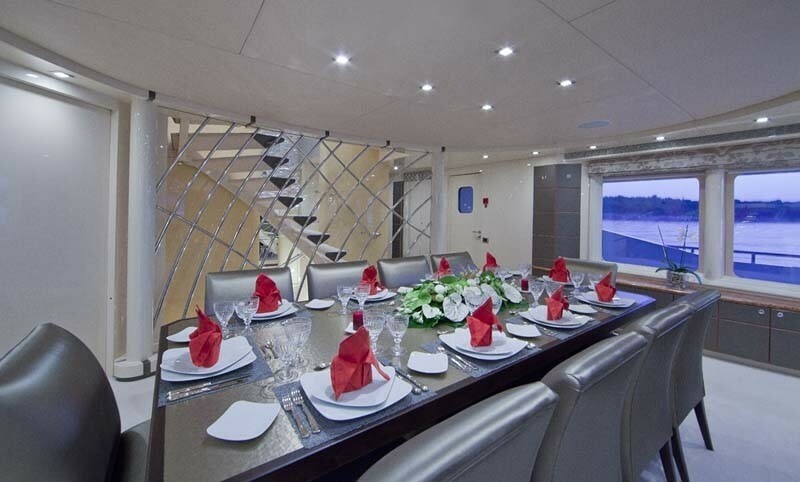 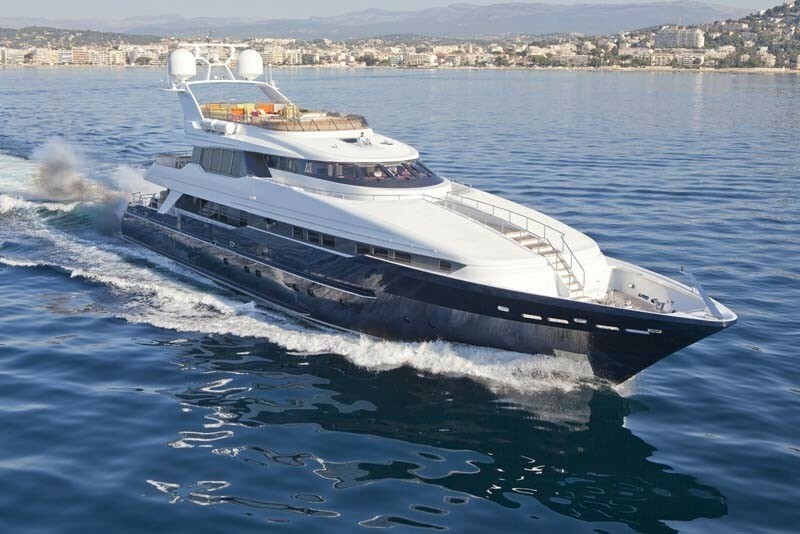 Luxury Motor Yacht Sister Act underwent a major interior, exterior and engineering refit in 2008. This includes a full paint job on exterior. 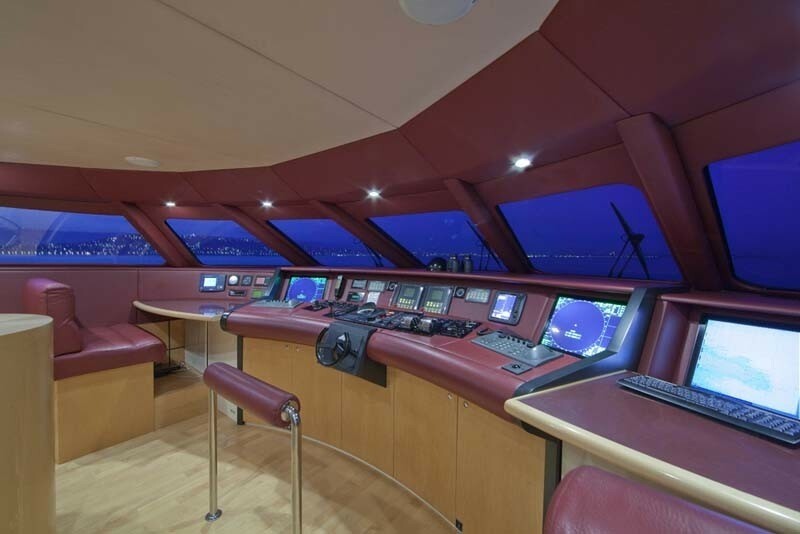 State of the art Audio Visual, communications and wheelhouse electronics upgrade. 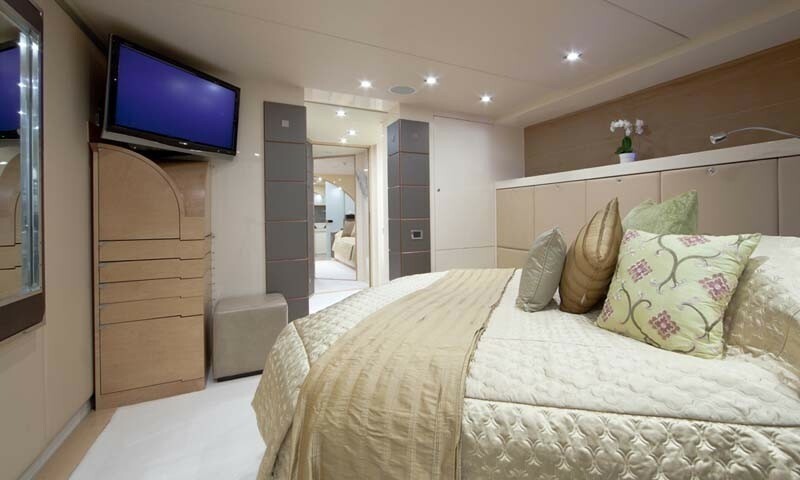 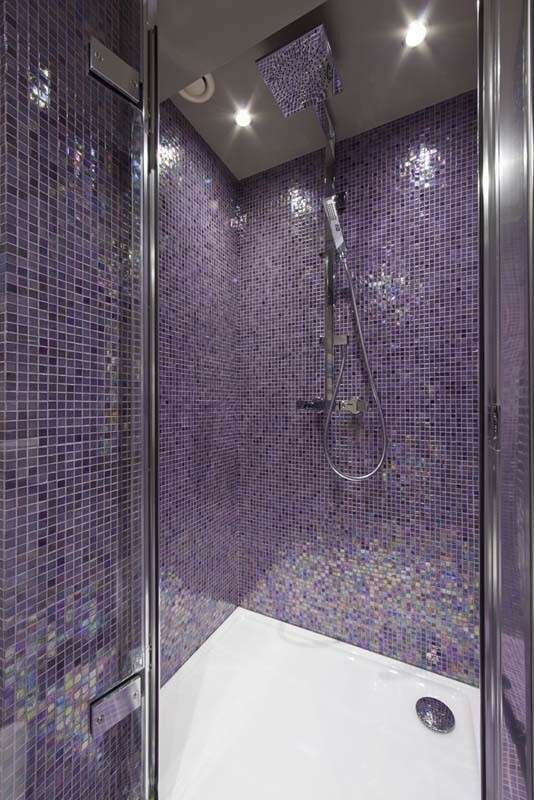 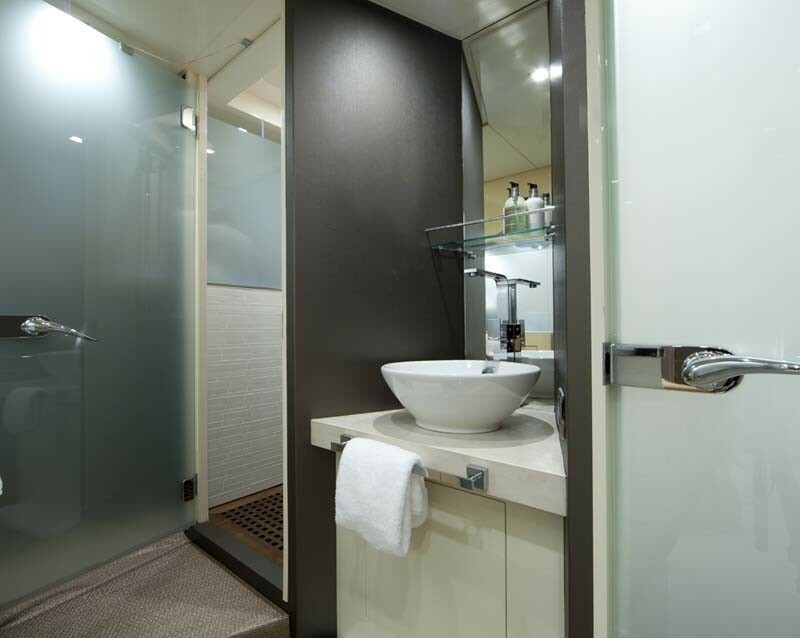 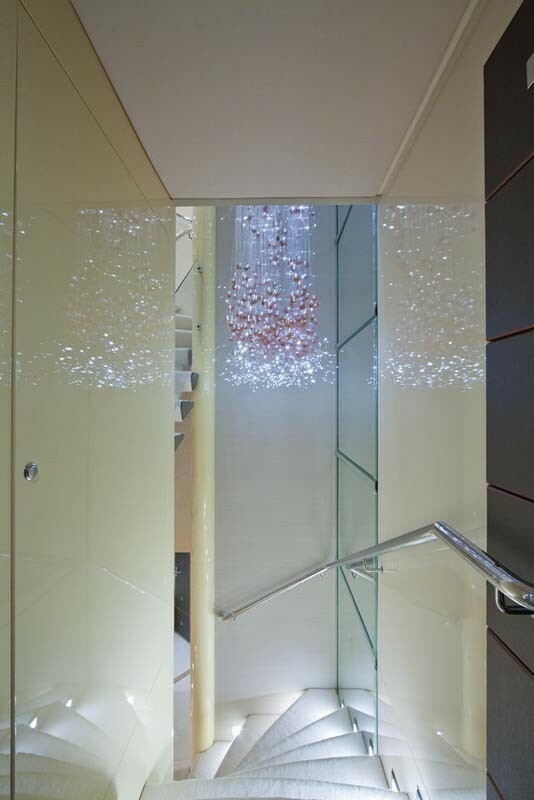 All guest accommodation was fully refitted with all cabins and en-suite bathrooms freshly redecorated. 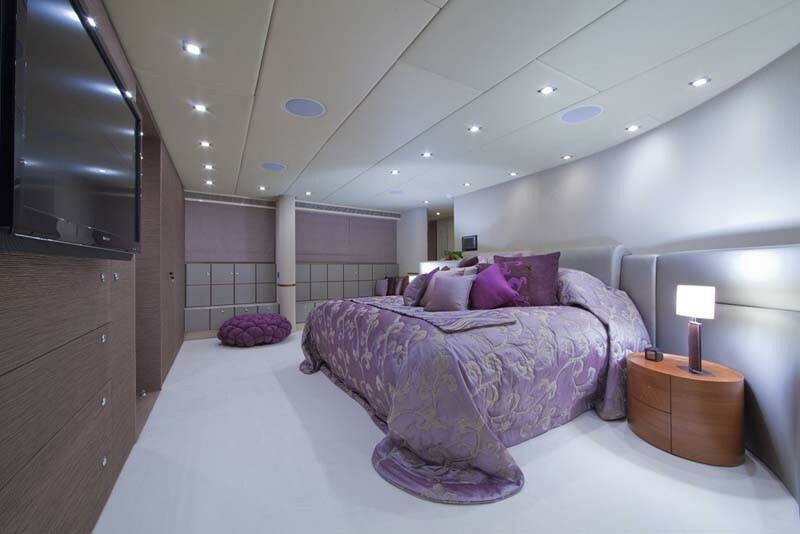 New blinds and fabrics and pure wool carpets were fitted throughout the interior. 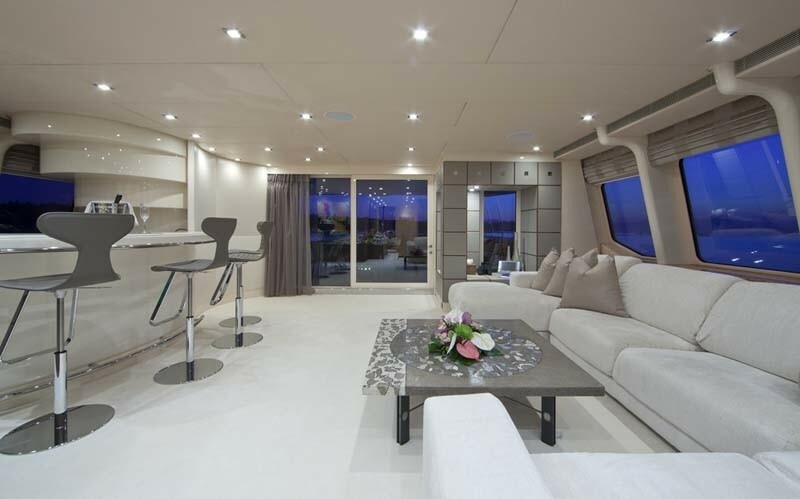 This refit and desgin is based on very clean, modern chic lines with neutral colors to create an atmosphere of complete lounge relaxation. 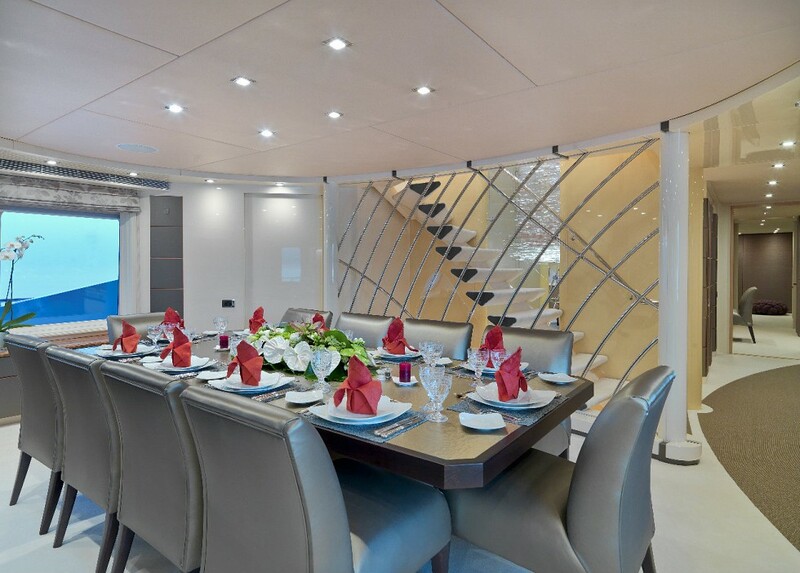 Motor Yacht Sister Act provides luxurious accommodation for 10 guests in 5 cabins including a large master cabin on the main deck with a large king sized bed, a small "breakfast" table, a makeup table, a walk in closet, an office area and his & hers ensuite bathroom. 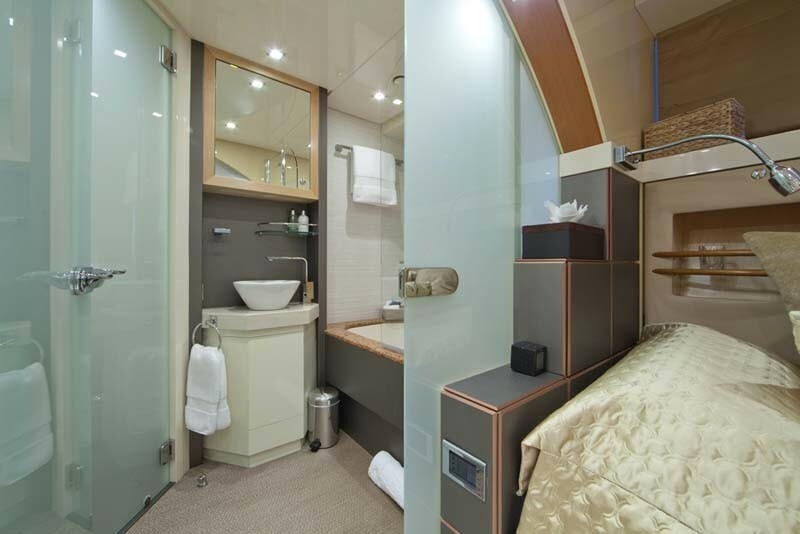 There are also two double cabins with mini-office, en-suite shower and two twin cabins en-suite bath and walk-in wardrobe. 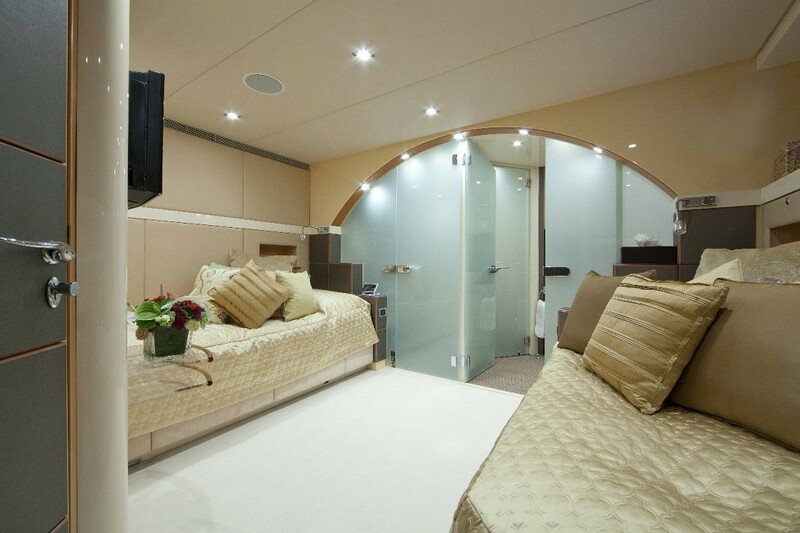 Crew accommodation is Captain + 8 in separate quarters.